Our signature Hot Tub can simply be described as HUGE! Room 18 People ! Read our comparative on the Hot Tub capacities on the Hot Tub Home page. 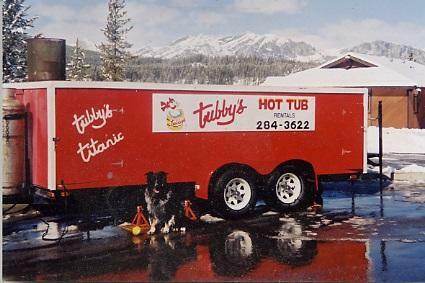 The Tubby's Titanic with 2 powerful pumps and numerous jets, customers compare the high jet experience to sitting in the wake of a speedboat! Along with an excellent heating system that maintains HOT temperatures even in the midst of a frigid Calgary winter, the tub has a highly efficient filtration system. 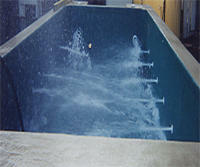 Heated by a propane fired pool heater, means a very quick response to temperature demands.